All Things Brantley, All Things Tribe: Vote Brantley For MLB Network's 2014 Face Of The Tribe! Vote Brantley For MLB Network's 2014 Face Of The Tribe! Happy New Year, Brantley fans! i hope the offseason hasn't been too devoid of Brantley news for you. but i've got a surprise. the time has come for MLB Network's annual Face of MLB vote. fans have already chosen the faces of a number of teams, and today it's time to vote for the face of the Tribe. the obvious choice here is Michael Brantley, duh! lol you can vote for Michael on twitter by tweeting #MichaelBrantley #FaceofTRIBE. if you don't have twitter, or even if you do, you can also vote for Michael on MLB Network's facebook page here, using the same 2 hashtags. the winner will be revealed tomorrow at 9 am EST on MLB Network's Hot Stove. 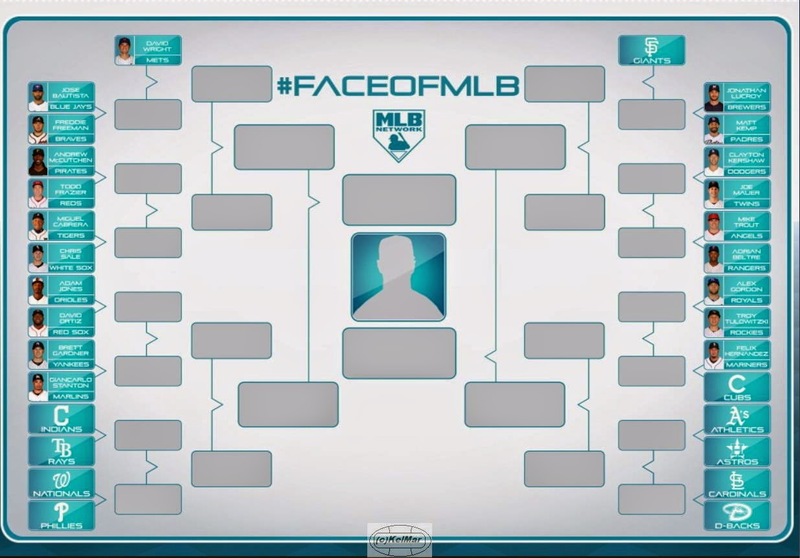 after all 30 franchise faces have been chosen, the winners will begin to go head-to-head on January 15 until the 2014 Face of MLB is crowned. the pairs have already been determined here. according to the bracket, the face of the Tribe will be up against the face of the Rays, who has not yet been voted on. should Michael win the face of the Tribe vote, i will continue to post blogs reminding fans to vote for him against all his opponents. good luck, Michael!